All children need to drink more water whether when playing sport, at school or simply at home. Put at end to the confusion over who’s water bottle belongs to who – by giving your children all personalised drink bottles. 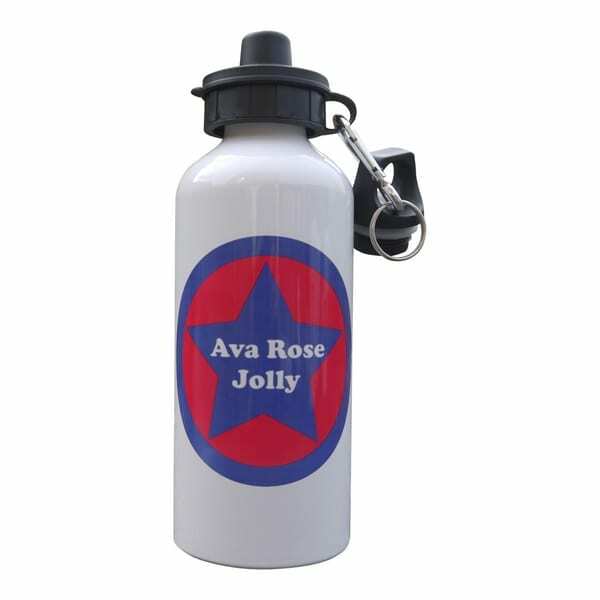 Our personalised water bottles made from robust aluminium and therefore tough and hard wearing. BPA free so drinks will stay pure, fresh and toxic free! Not suitable for hot or freezing liquids. Hand wash only. Individually hand printed this personalised fairy water bottle is bound to be a big success with girls. Say goodbye to plastic bottles with this 400ml capacity aluminium personalised drink bottle. Scratch resistant, long lasting this BPA bottle ensures drinks stay fresh all day long with no nasty after taste. 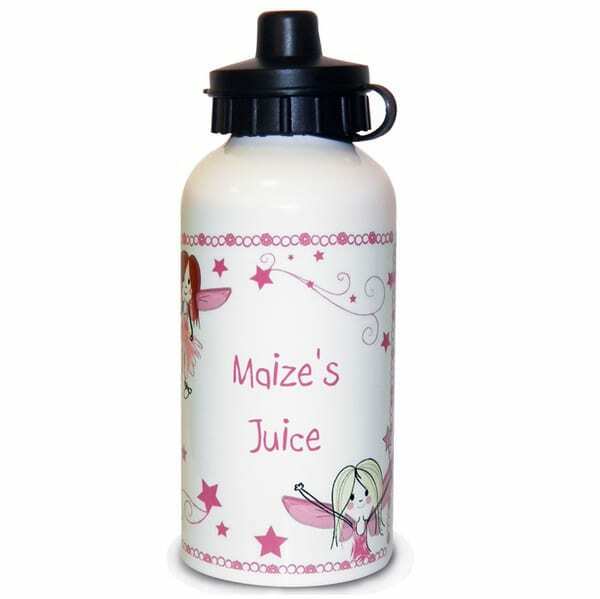 Our fairy drink bottle drink bottle comes supplied with a pull out spout, fitted cap, stopper and clip attachment, which is great to clip to outside of a sports bag. 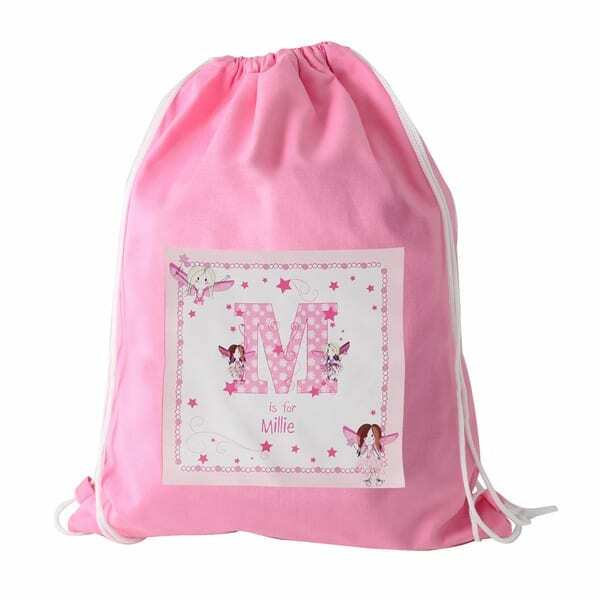 Matching PE gymbag is also available in the same range. Accents are not accepted on this the 400ml drink bottle. Hand wash only – removing all parts to give a thorough wash.
Not suitable for hot or freezing liquids or for use in a microwave, dishwasher or freezer. Not suitable for children under 36 months as choking hazard.